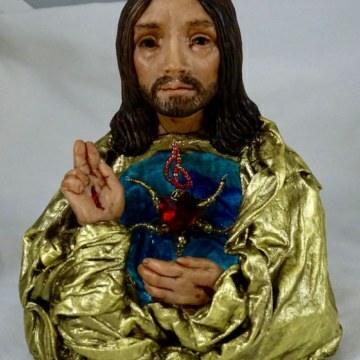 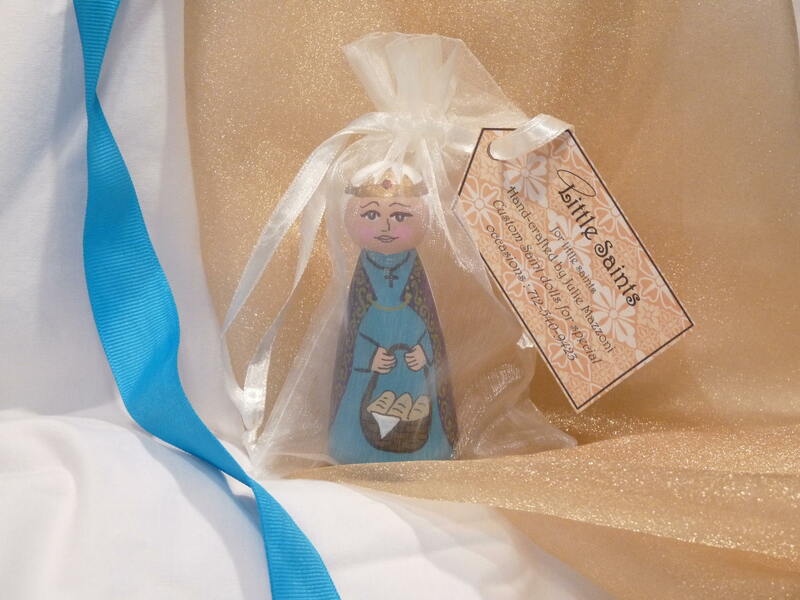 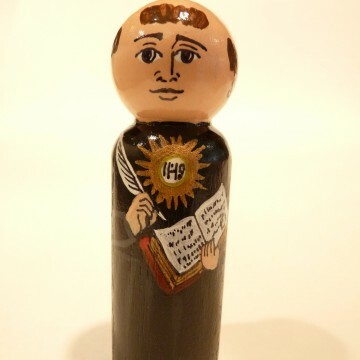 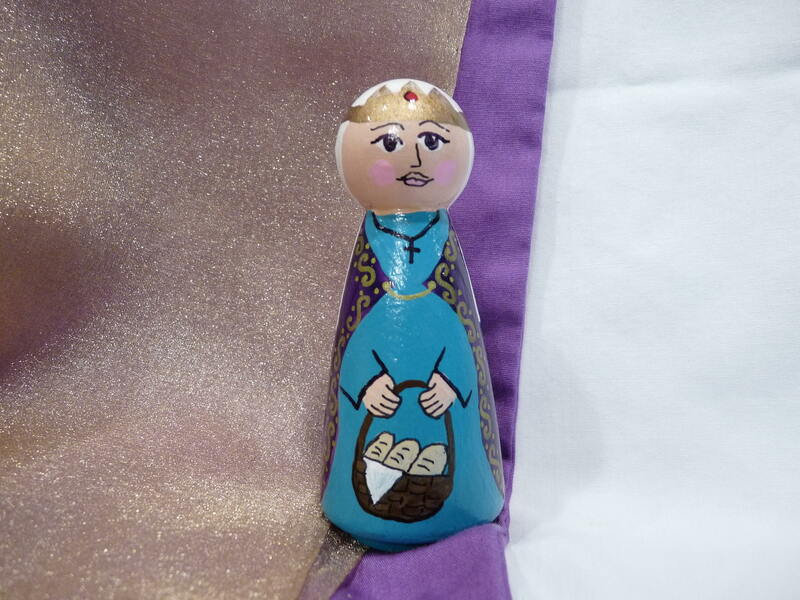 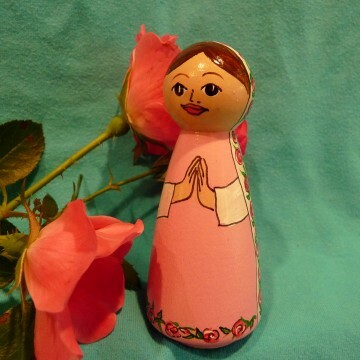 This 3 1/2″ tall St. Elizabeth of Hungary saint peg doll holds a basket of bread to give to the poor. 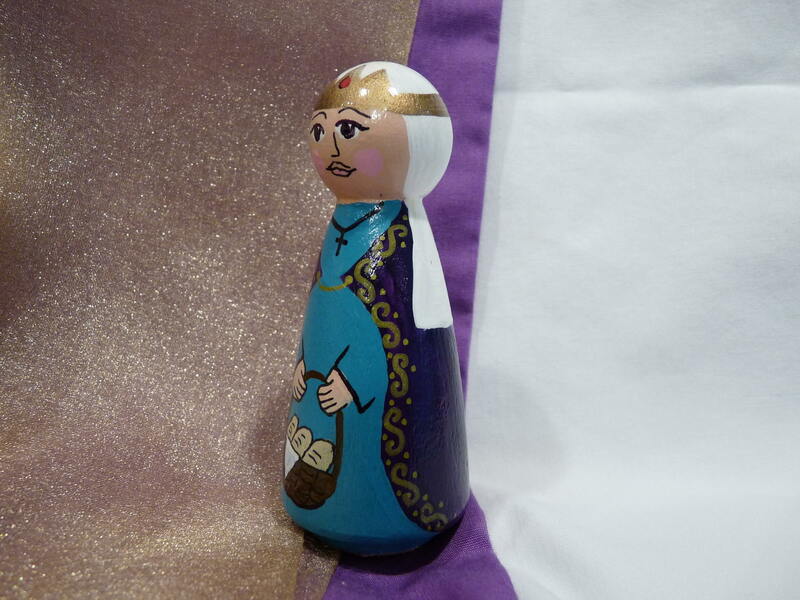 St. Elizabeth wears a teal gown with royal purple cloak and white headpiece with a simple gold crown. 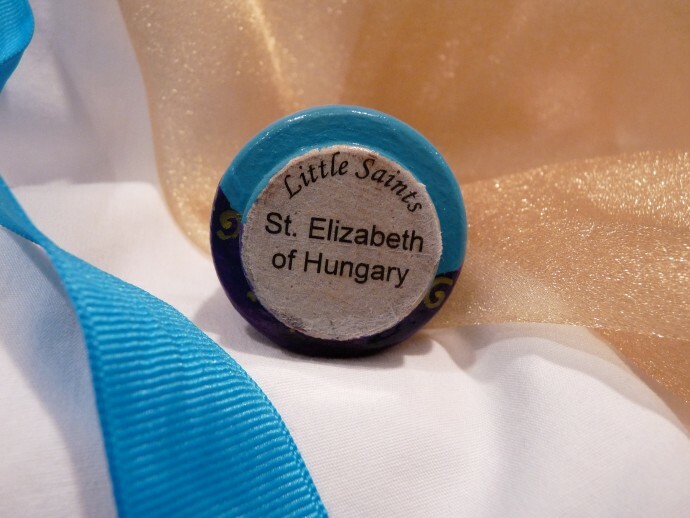 Despite her royal birth to Alexander II, King of Hungary, Elizabeth led an austerely simple life, practiced penance, and devoted herself to works of charity. 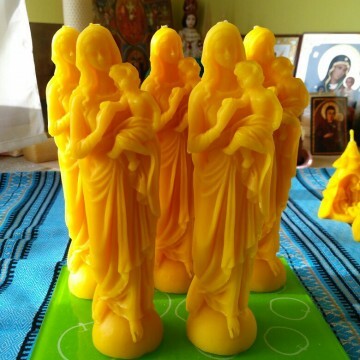 She married, had three children and then her husband died. 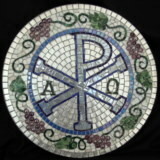 St. Elizabeth built a Franciscan hospital in Marburg. St. Elizabeth is the patron saint of bakers, countesses, death of children, falsely accused, the homeless, nursing services, tertiaries, widows, and young brides.